Get Yee Sang delivered to you in just a few clicks! It’s the season of abundance and you can now order a variety of Yee Sang on GrabFood. 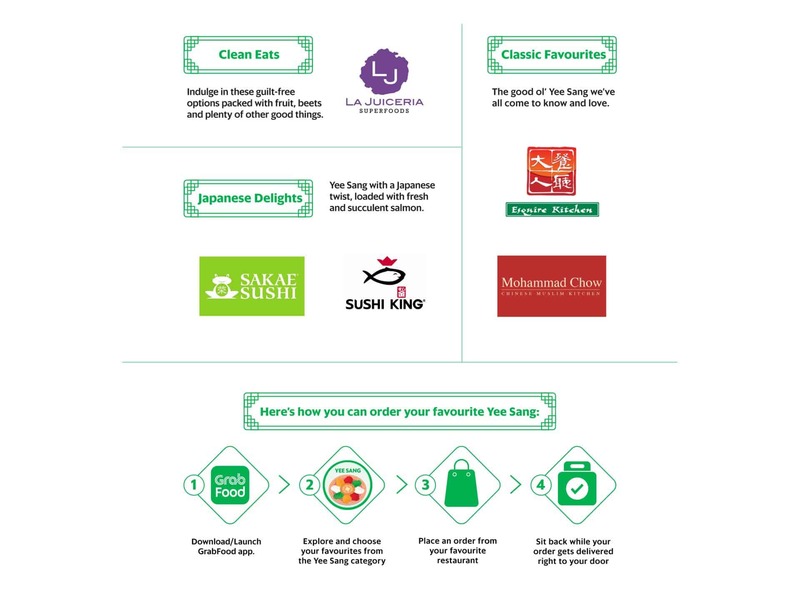 Choose from all-time favourites, Japanese delights or go extra skinny with healthier options and have them sent to wherever you need to lou lou lou for prosperity! Available till 19 February 2019 so take your pick and order now.